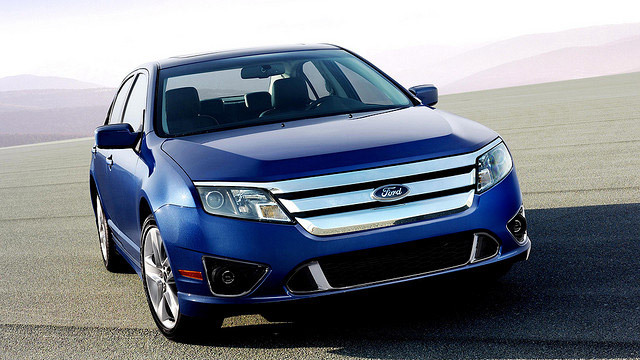 When it’s time for Ford service, the auto mechanics at Complete Automotive are here to help. With a reputation for excellent auto repair, along with caring and courteous customer service, you can easily see why we are chosen a time and again by Ford drivers throughout Springfield. Your Ford was built for reliability and dependability, but unfortunately, your beloved car is not invincible, and that’s where we come in. At Complete Automotive in Springfield, it’s our job to keep your Ford up and running in tip-top shape. Our auto mechanics possess the expertise and equipment necessary for quick, thorough, and accurate auto repair. It doesn’t matter how minor or major a problem is, or even the model of your Ford. Our team will get the job done right the first time. “I own a Ford ‘99 F350 Super Duty diesel truck w a 7.3 Powerstroke engine. These engines are very complicated and a challenge to work on. I have been very impressed with the top quality level of technical knowledge & service Complete Auto has provided every time I have had them work on my truck. Always very professional and friendly associates. Great job folks!!" -- Marty M.
At the end of the day, our team at Complete Automotive in Springfield genuinely cares about you, your family, and your vehicle. Each auto repair we recommend is geared toward preserving the safety and longevity of your vehicle. From a minor oil service to a complex transmission repair, we are the ones you can count on. For Ford service, schedule an appointment online, call us, or stop by our auto repair shop at 2238 E. Chestnut Expy. in Springfield, MO, 65802.